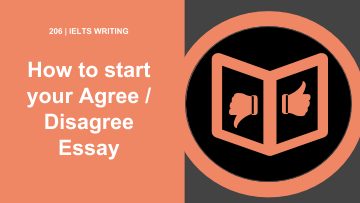 What is an “agree or disagree” essay? An “agree or disagree” essay offers a statement and invites you either to agree or disagree with it. Here are some examples of “agree or disagree?” questions. 1. “Modern life is increasingly chaotic.” Do you agree or disagree? 2. “The death penalty is barbaric and should not be legal anywhere.” Do you agree or disagree? 3. “Libraries are irrelevant in the age of the internet and should not be publicly funded.” Do you agree or disagree? As an illustration, I’m going to discuss the third of these examples. I’m going to argue that libraries are not irrelevant in the age of the internet, partly because (as a scholar and teacher of English) that’s what I believe. It is possible to argue a case opposite to your own real opinion, but you are more likely to argue convincingly if you argue for a case in which you yourself believe. Always read the question carefully! Remember our cardinal rule: always read the question carefully. This is a vital point and expanded on in the online IELTS course. “Libraries are irrelevant in the age of the internet and should not be publicly funded.” Do you agree or disagree? The two questions are linked, but not identical. Let’s consider an unclear statement of opinion. What is the problem with this way of stating an opinion? First, the statement of opinion is indecisive, because it is prefaced with “I suppose”. It is usually a bad idea to preface your statement of opinion with “I suppose”, or “it is my opinion that”, or even “I think that”. The reader already knows that it is your opinion, because you are stating it! Every time you are tempted to write “I think that” or “It’s my opinion that”, try simply deleting those words. The sentence will usually be greatly improved without them. The other problem with this way of opening your argument is that it is unclear which side you are on. After the reader has finished reading the opening sentence, it is not fully clear whether the writer agrees or disagrees with the statement offered. This is not to say that there is no room for subtlety or qualifications to an argument in your essay. But the main line of your argument needs to be clear, because you don’t have much space. Let’s try to find a better opening for the essay. This is clear and decisive statement of opinion. A single line of argument is given, followed by a single main supporting reason for it. Let’s move on the second main criterion, addressing all parts of the question. Remember that you’re being asked not only whether libraries are irrelevant, but also whether they should receive public funding (vocabulary like this is great for your essay). Obviously these two questions are linked: if libraries were irrelevant, their really would be no point in funding them. Yet it does not follow that, if relevant, they must be funded. It’s good to demonstrate your awareness that the question has more than one aspect to it. Here is an example of how you might do this. With this transition between the first and second aspects of the question, you have done a number of things. You have shown that you have read the question attentively, and have understood that it consists of two distinct parts. You have also shown that you understand the need to provide support for your opinion on each part of the statement asked about. Finally, let’s move on to the third criterion, the need fully to support your opinion. Evidently, you are not expected to be an expert on any topic about which you might be asked to give your opinion. You are not expected, for example, to have precise facts and figures about library use at your fingertips! But you are being asked to show that you understand the general principle of the need to support opinions with reasons, with evidence of some kind. Let’s consider what might count as supporting the argument that libraries are not irrelevant in the internet age. You would need to be able to show what it is that libraries provide that a computer screen can’t. Here, “supporting” your argument might simply mean describing some of the valuable features of reading a book which can’t be reproduced by a computer. Let’s consider an example of how this might be done. This series of supporting arguments has a number of virtues. 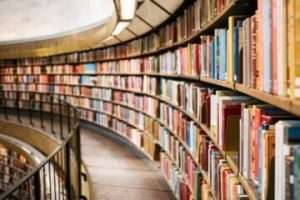 It points to a number of different specific ways in which books do things which can’t be done by computers; each of these features of books constitutes an implicit reason for valuing libraries. It draws on the experiences of readers to support a more abstract general point about libraries. 3. offering full support for all aspects of one’s opinion. Thanks a lot.it was very helpful. 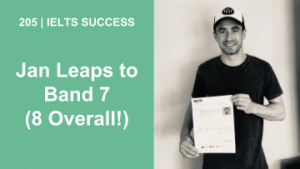 The ielts podcasts from Ben Worthington are extremely useful. They not only teach language and provide links towards lexical resources but also help learn testing taking skills . Thanks Ben! Let me know if you need further help in IELTS. In task2 writing:- I can start:- in an illustration,I am going discussing about a topic—————-. The substantial——(topic)—-has sparked the controversy over potential impact on this trend————(topic)in this years.